Travel with ease with Strap It ™ Easy Bag Bungee. With Strap It ™ , you can attach a second bag or coat to your wheeled luggage and two items can move as one! 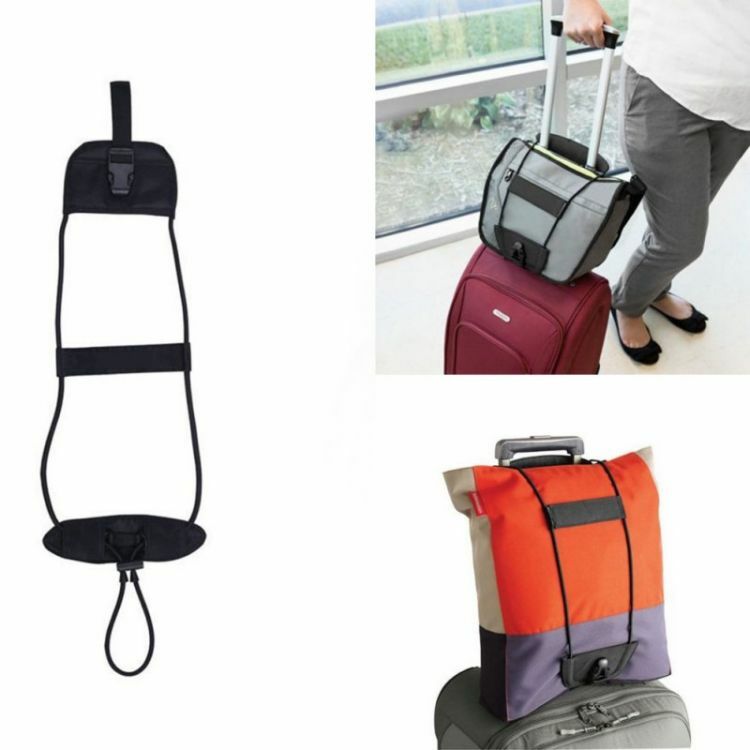 Strap It ™ Easy Bag Bungee attaches easily through the handle system of wheeled luggage and secures a second bag, coat or other item, allowing the two items to move as one. Lightweight, compact and easily stores in a purse or carry on.